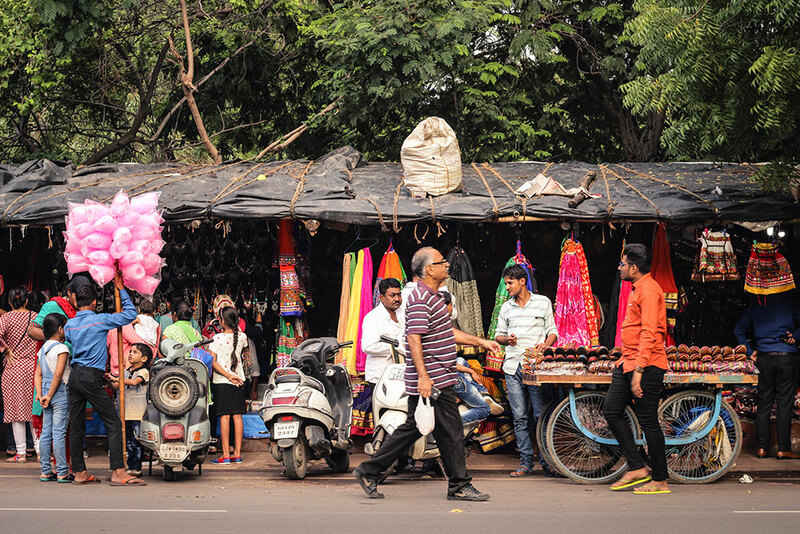 Law garden is always bustling with shopkeepers, vendors, tourists and locals. 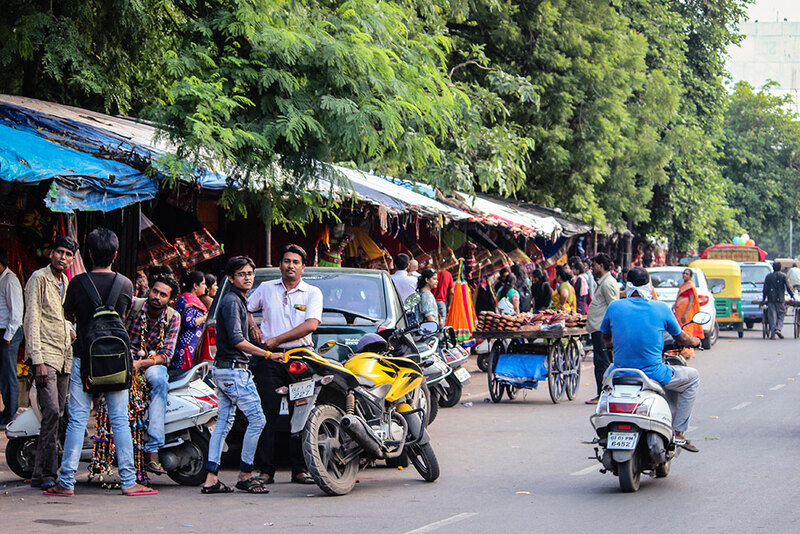 It is a makeshift market with no permanent shops. Law garden offer vibrant and artistic traditional wear for all ages. 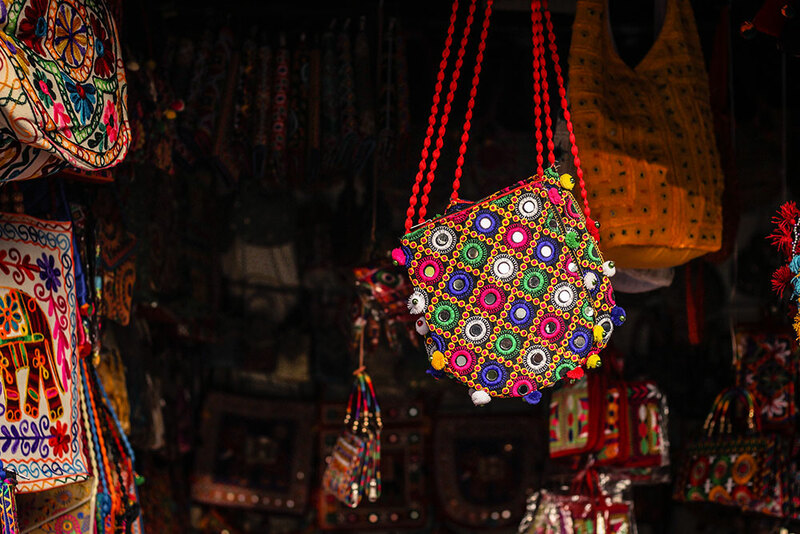 Handcrafted sling bag with mirror work is put on display. 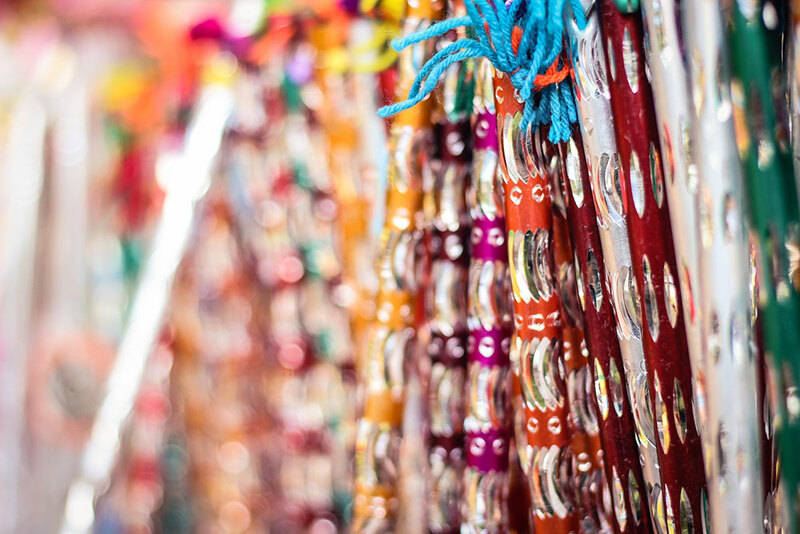 Dandiyas are a pair of colourfully decorated sticks used to dance during Navratri. 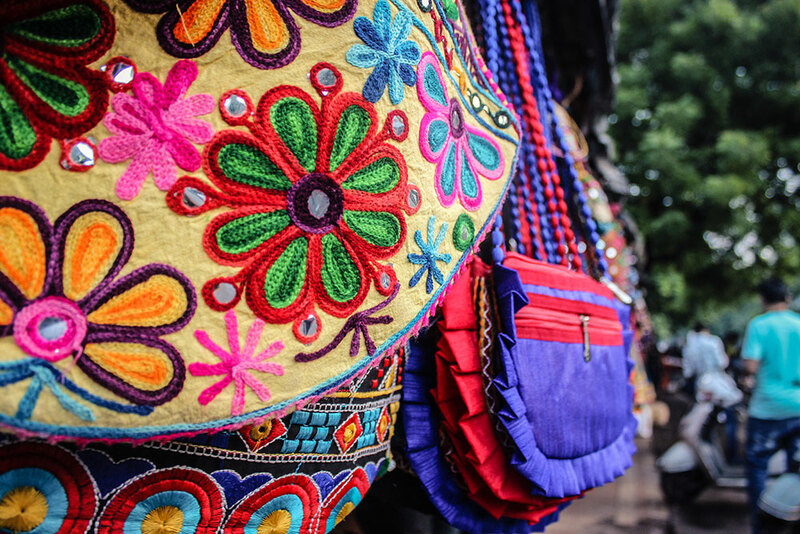 Details of a traditional handbag. Woman looking at the intricate work on the ghaghra. 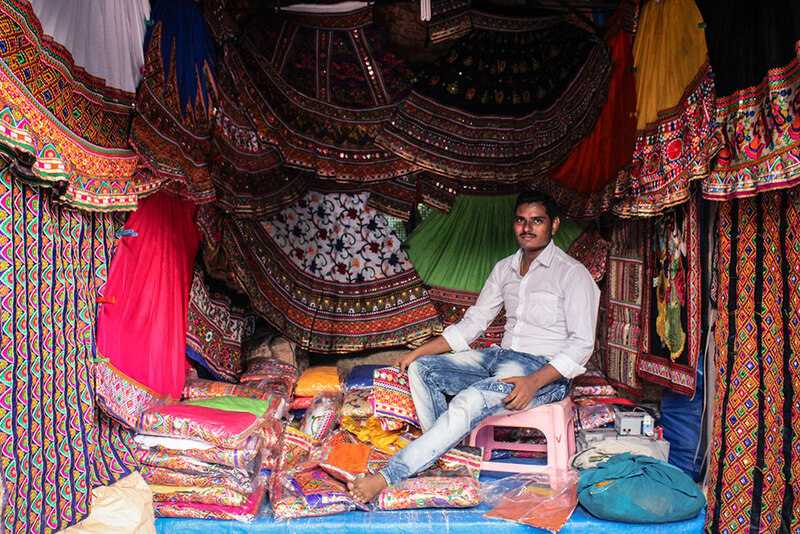 Each pair of ghaghra choli sold here is a unique work of art and tradition. 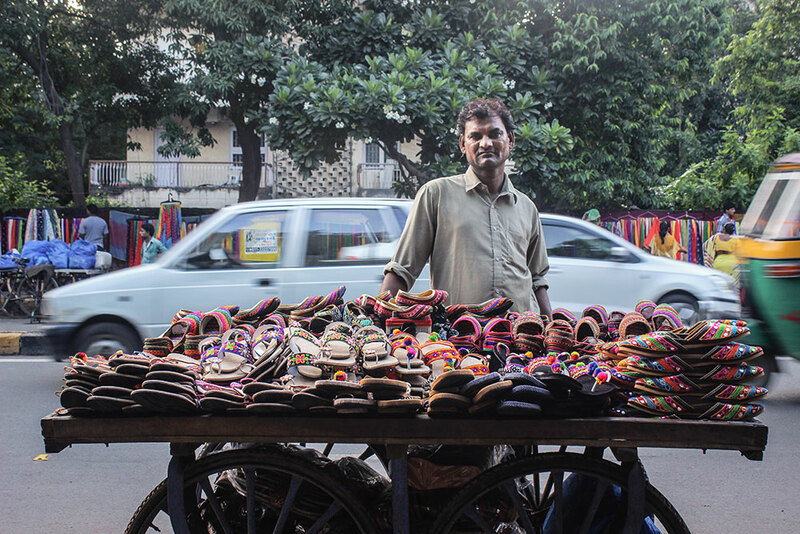 Man selling ethnic footwear on his handcart. 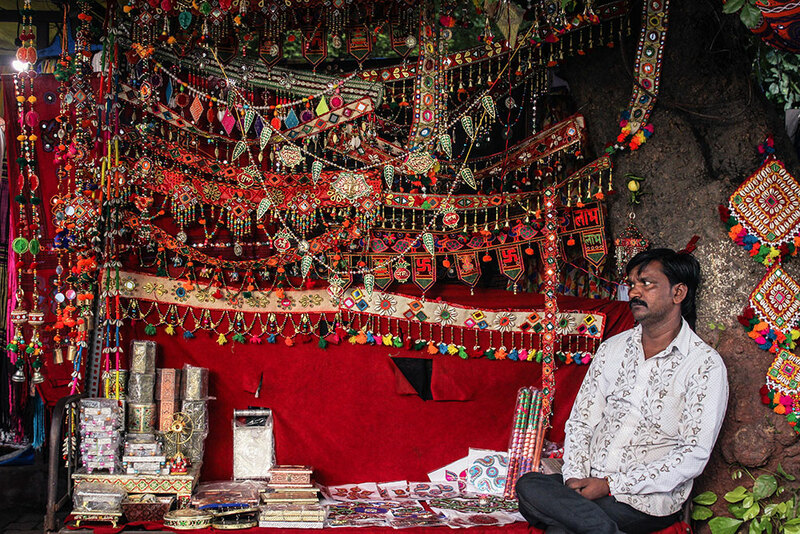 Toran, also known as Bandawar, refers to a decorative door hanging in Hindu culture. 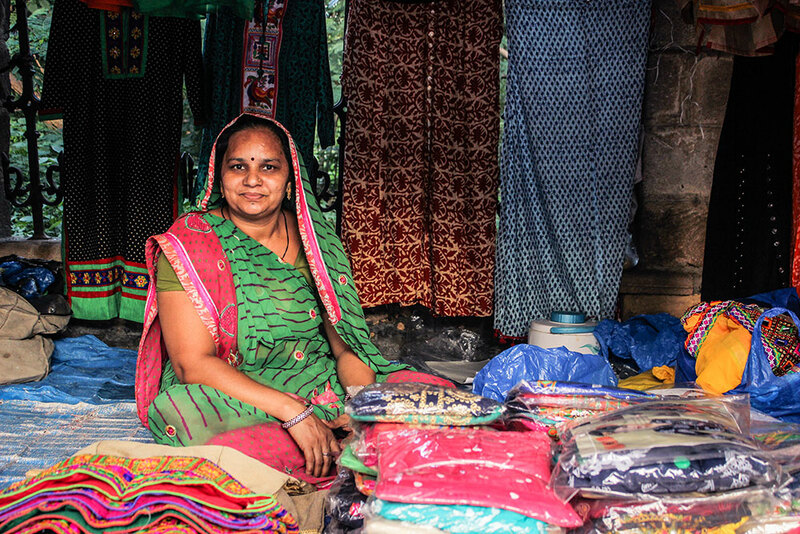 Woman selling kurtas with handcrafted embroidery. The market comes to bloom in the evening with additional help from oil lamps. Law Garden is an evening market packed with temporary stalls and hawkers. 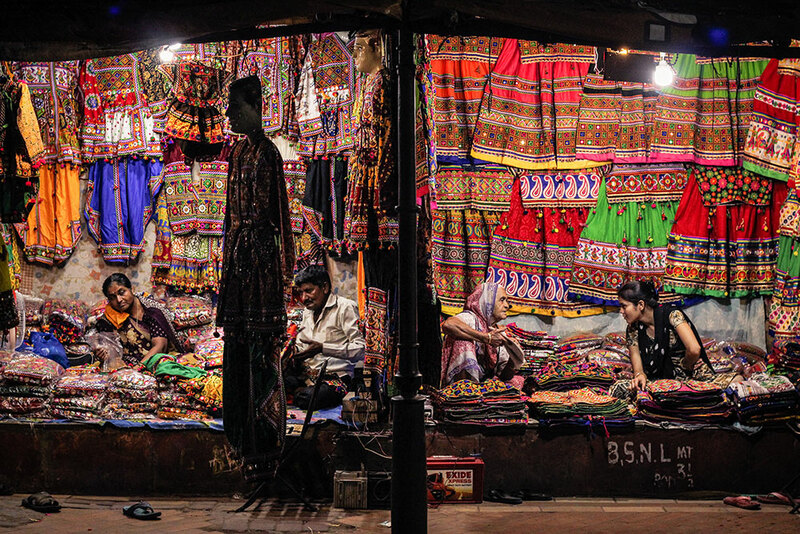 Diverse range of traditional items from Kutch and Saurashtra are sold here. 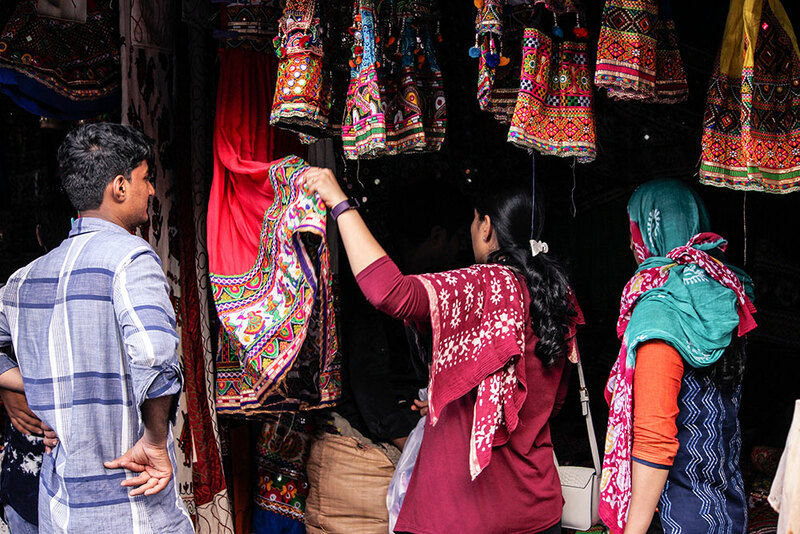 You will find everything from cholis and chaniyas to embroidered wall hangings, costume jewellery, footwear and more. 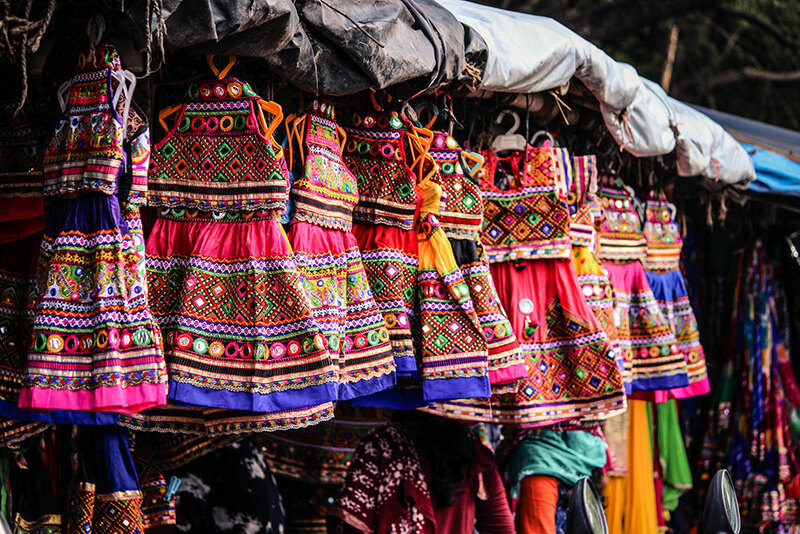 The most prominent differentiating factor that sets apart the Law Garden market is its sole focus on selling traditional handicrafts made by weavers and quilters from Gujarat.